Now go to transaction PM01, select SingleScrn, enter Infotype No and Version and don’t forget to select Customer Include to add new field in structure first and click on Generate Objects. 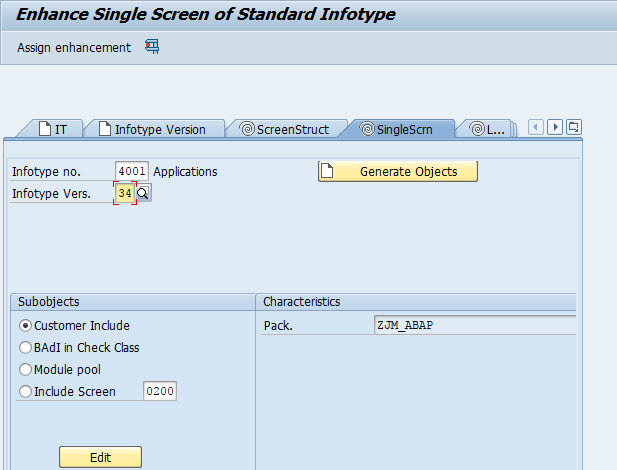 Now you can create new fields on structure CI_P4001, after it’s done the click Activate. After you finish creating new fields on the structure, then you need to create screen. 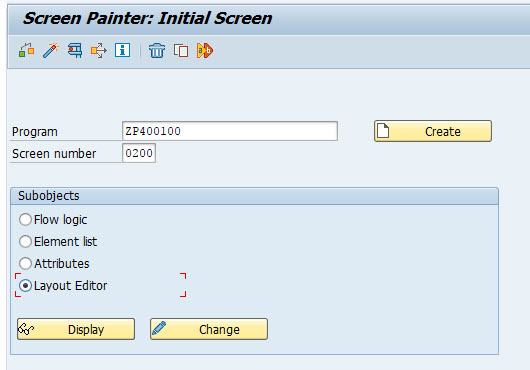 Now go back to PM01, tab Single Scrn , select the radio button Include Screen then click Edit. After you click Edit button then SE38 will open with the default module pool program generated automatically, select Layout Editor then click Change. Next you will take to Screen Painter. After adding two custom field, then click button Activate. Now go back to transaction PM01, and click button Assign Enhancement on top left corner. On this screen you need to enter all the information as shown below and click SAVE . 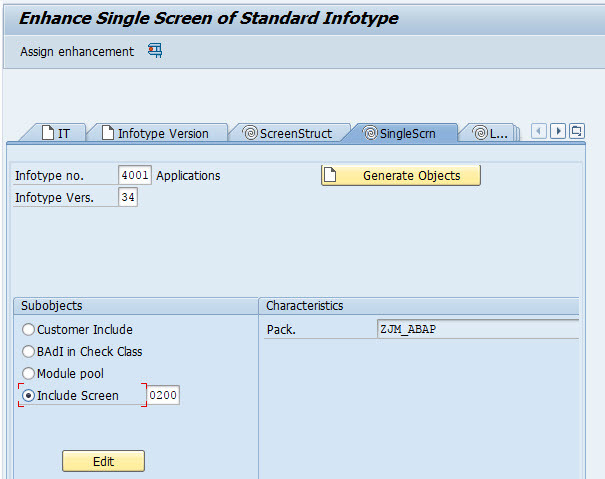 After finish all step, Go to PA30 or PB30 to check your enhancement for that infotype.